Sam's Laser FAQ, Copyright © 1994-2018, Samuel M. Goldwasser, All Rights Reserved. Companies such as Laser Machining, Inc. (now Preco, Inc.), Laser Cut, Inc., and Jamieson Laser, all make systems that will cut plywood, but they vary in table size, laser power and cutting performance. 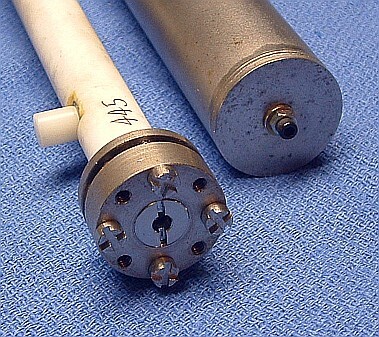 A similar tube is used in the Laser Photonics model:CT-55-A000, circa 1989. It's good for at least 3 W. Here are a couple photos (courtesy of Matthew Dickson). 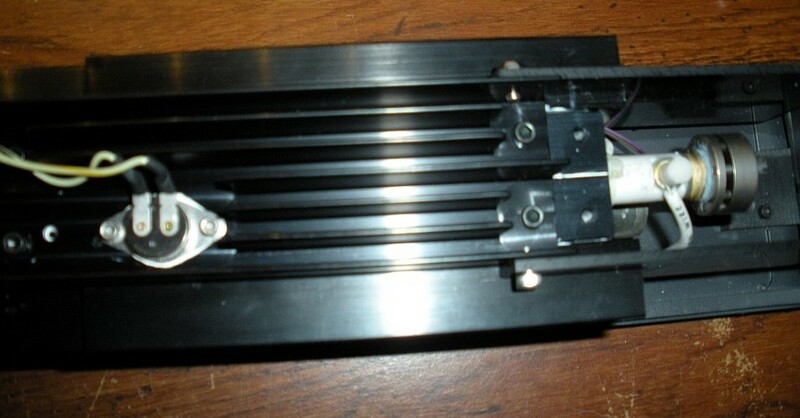 Laser Photonice Model CT-55-A000 Laser Head. 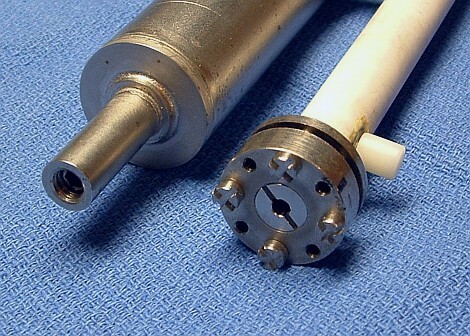 Laser Photonice Model CT-55-A000 Tube in Heatsink.